Germany's Technical University of Berlin (TUB) built a successful series of 40 kg 'Tubsat' experimental technology satellites. Germany's Technical University of Berlin (TUB) built a successful series of 40 kg 'Tubsat' experimental technology satellites. AKA: Maroc;Technical University of Berlin Satellite. Status: Operational 1991. First Launch: 1991-07-17. Last Launch: 2015-09-28. Number: 8 . Gross mass: 45 kg (99 lb). Height: 0.50 m (1.64 ft). Each satellite could be oriented in three axes and carried an imaging payload. 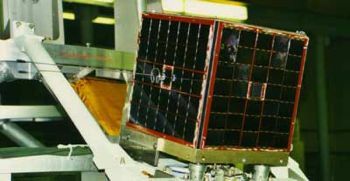 The series also included two Tubsat-N 'nanosatellite' Tubsats. Tubsat A Technology satellite for TU Berlin, Germany. Launched 1991. 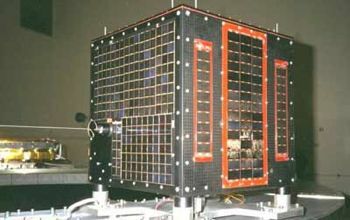 Tubsat B Technology satellite for TU Berlin, Germany. Launched 1994. DLR-Tubsat Earth Observing satellite built by TU-Berlin for DLR, Germany. Launched 1999. Used the Tubsat-C Bus bus. Family: Communications, Communications technology sat, Earth, Sun synchronous orbit, Technology. Country: Germany. 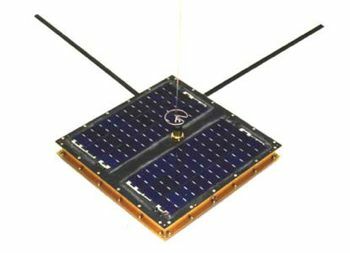 Spacecraft: Orbcomm, Tubsat. Launch Vehicles: Tsiklon, R-29, Tsiklon-3, Ariane, Ariane 4, Ariane 40, PSLV, Zenit-2, Shtil'-1, PSLV-XL. Launch Sites: Baikonur, Plesetsk, Barents Sea Launch Area, Kourou, Sriharikota, Baikonur LC45/1, Kourou ELA2, Sriharikota PSLV, Sriharikota SLP. Agency: TUB. Bibliography: 2, 276, 279, 296, 4, 552, 554, 568, 6, 13316. 1994 January 25 - . 00:25 GMT - . Launch Site: Plesetsk. LV Family: R-36. Launch Vehicle: Tsiklon-3. Tubsat-B - . Mass: 40 kg (88 lb). Nation: Germany. Agency: TUB. Program: Tubsat. Class: Technology. Type: Navigation technology satellite. Spacecraft: Tubsat. USAF Sat Cat: 22970 . COSPAR: 1994-003B. 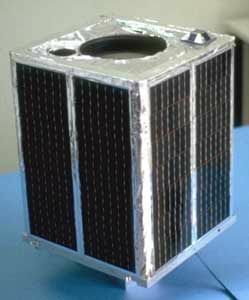 Apogee: 1,210 km (750 mi). Perigee: 1,184 km (735 mi). Inclination: 82.60 deg. Period: 109.40 min. Maroc-Tubsat - . Mass: 45 kg (99 lb). Nation: Morocco. Agency: RAKA. Manufacturer: TuB. Class: Technology. Type: Navigation technology satellite. Spacecraft: Tubsat. USAF Sat Cat: 27004 . COSPAR: 2001-056D. 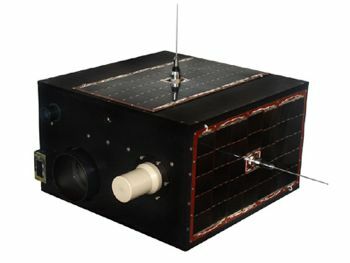 Apogee: 1,014 km (630 mi). Perigee: 985 km (612 mi). Inclination: 99.20 deg. Period: 105.10 min. Maroc-Tubsat was built by the Technical University of Berlin for the Centre Royal de Teledetection Spatiale, Morocco, and had a mass of 47 kg. 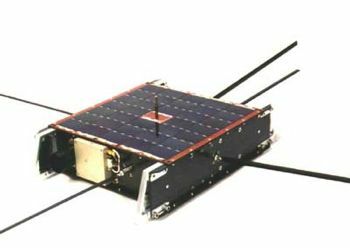 It carried an imager and a store-forward communications test payload. 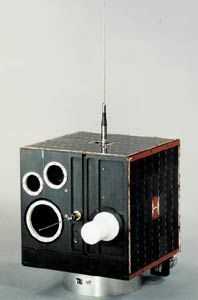 The satellite measured 32x34x36,2 cm and was still in operation as of 2003.